M.O.B. is a typical vegetarian/vegan fast-food, hip-hop spot with a menu developed by a Michelin 3-star chef in the north Marais. 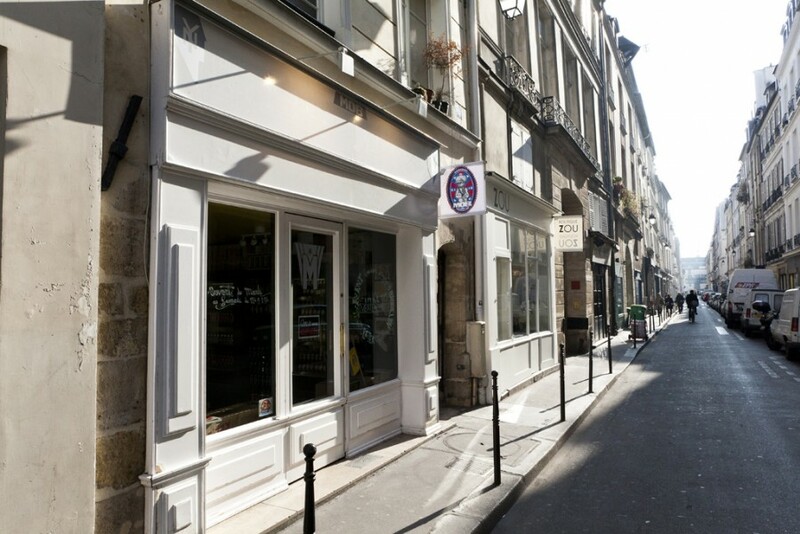 The restaurant was created by Cyril Aouizerate, who also started the Mama Shelter hotel by Père Lachaise. He was inspired to create a restaurant that reflected the philosophies of the pro-veg medieval scholar Maimonides and the global creative culture of hip hop. So if you are unwilling to listen to hip hop music, then maybe just get take out. The food is really affordable because they want everyone to be able to enjoy it…not just rich people. The centerpiece is the M.O.B. 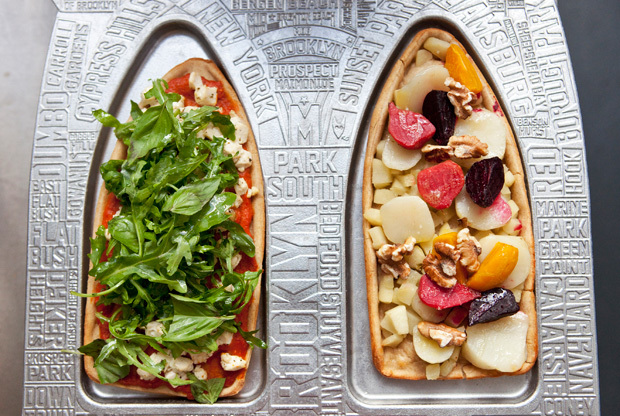 – a pizza-like dish that comes in the shape of the arches of the Brooklyn Bridge (the restaurant name stands for Maimonide of Brooklyn.) They are topped with seasonal organic vegetables and sometimes fruit. They also have gluten free versions. The menu also features burgers, some nice salads, donuts, and the scarily authentic looking ‘saucissson.’ But not to worry, everything is vegetarian and in fact honey is the only ingredient to look out for. Previous Previous post: Vegan New Year’s Eve Cruise on the Seine!